Shortly after NASA announced that a wayward asteroid exploded in Earth’s atmosphere above the Bering Sea, with the blast yield being about 11 greater than that of the nuclear bomb dropped on Hiroshima in 1945, a self-proclaimed micronation known as Asgardia warned that the threat of space rocks falling from the sky should not be taken lightly. Jay Tate, director of the privately funded SpaceGuard Centre and Asgardia scientist, postulated that government space agencies should devote more time and effort to inventing means to protect our planet from the "near earth objects" (NEO) – small solar system bodies whose orbit brings them into proximity with Earth. "NEOs pose a serious, even cataclysmic, threat to human civilisation and action must be taken now to identify levels of risk and develop the technology to protect this and future generations", Tate said as quoted by the Sunday Express. He also pointed out that asteroids aren’t the only thing in space that may endanger humanity, as solar storms and flares can wreak havoc upon electrical grids and communication systems across the planet, endangering the lives of billions. Previously, American geophysicist Jay Melosh also played out a shocking scenario of a gigantic 370-metre wide asteroid coming into direct contact with Earth, predicting that such an impact could wipe out a metropolis the size of Boston. 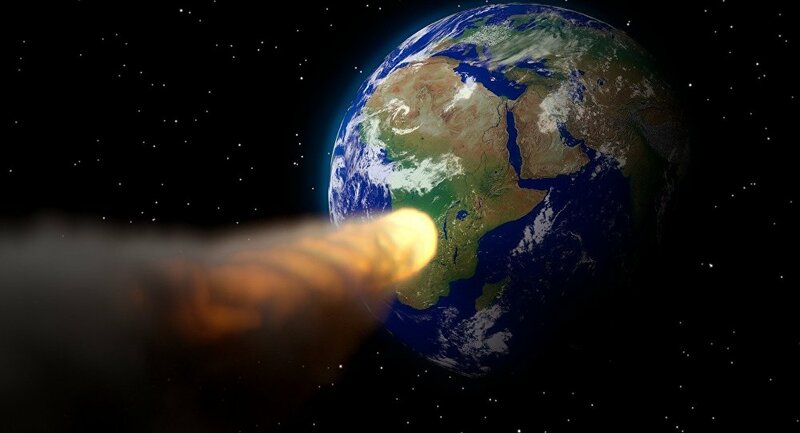 Last year, the European Space Agency’s near-Earth objects team head Detlef Koschny also said that "if a 100-meter asteroid hit Earth, it would cause significant damage in an area the size of Germany, and even affect the surrounding region", as quoted by Space Daily. He pointed out, however, that asteroids of this size don’t strike Earth very often, “maybe every 10,000 years on average”.